The Super Sand Eagles of Nigeria will renew their rivalry with Senegal at the 2018 Beach Soccer AFCON. 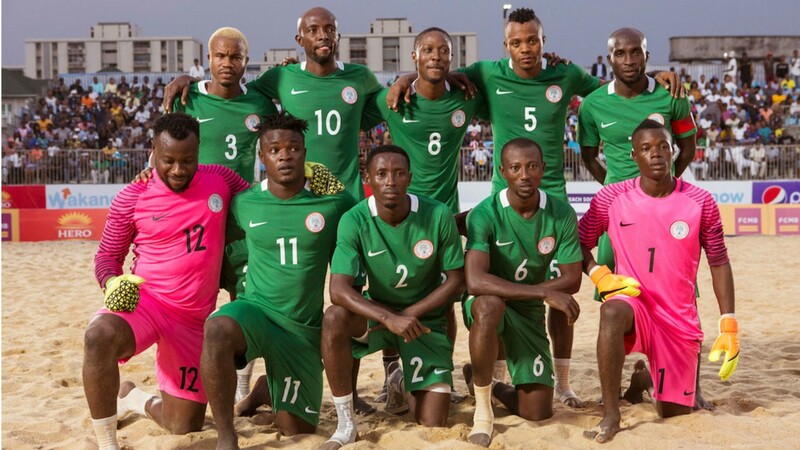 The Sand Eagles finished as runners-up at the 2016 edition held in Lagos Nigeria when they lost 8-4 to West African rivals Senegal in the final of the competition. The draws for the 2018 edition was held in the host country, Giza, Egypt on Sunday, October 28. Hosts Egypt and defending champions Senegal were the two countries seeded for the competition. The Super Sand Eagles have won the competition twice in 2007 and 2009 both hosted in Durban, South Africa. The winner and the runner-up will represent Africa at the Beach Soccer World Cup which will be hosted by Paraguay. The competition which is billed to hold in Giza, Egypt will commence from Sunday, December 9 till Friday, December 14, 2018.